Michael Bollig is Professor of Social and Cultural Anthropology at the University of Cologne. His publications include Risk Management in a Hazardous Environment: A Comparative Study of Two Pastoral Societies (Springer, 2006); The Practice of War: Production, Reproduction and Communication of Armed Violence (with A. Rao and M. Böck, Berghahn Books, 2007); and African Landscapes: Interdisciplinary Approaches (with O. Bubenzer, Springer, 2009). Michael Schnegg is Professor of Social and Cultural Anthropology at the University of Hamburg, Germany. His research aims to understand how people in Sub-Saharan Africa value, use, and govern ecosystem services in an increasingly deterritorialized world. Hans-Peter Wotzka is Professor of Prehistoric Archaeology at the University of Cologne. 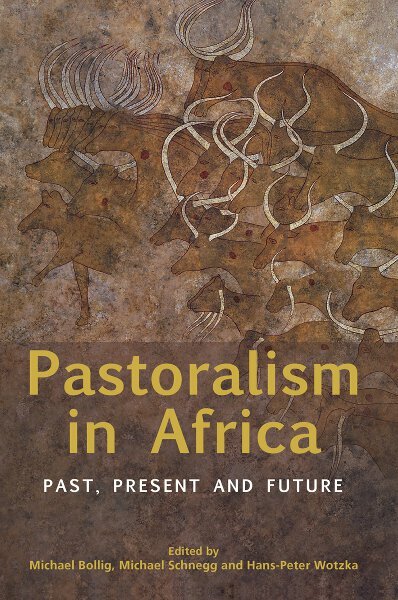 His publications include Aridity, Change and Conflict in Africa (with Michael Bollig, Olaf Bubenzer and Ralf Vogelsang, Heinrich-Barth-Institut, 2007) and Proceedings of the Third International Conference on the Archaeology of the Fourth Nile Cataract (Heinrich-Barth-Institut, 2012). Chapter 11. Social-Ecological Change and Institutional Development in a Pastoral Community in North-Western Namibia.